Here the edge of the continental shelf is at it’s closest to land and a special deep sea trough called Bleik Canyon was formed thousands of years ago. This extraordinary spot provides a stable stock of sperm whales with food such as deep sea squid and fish. 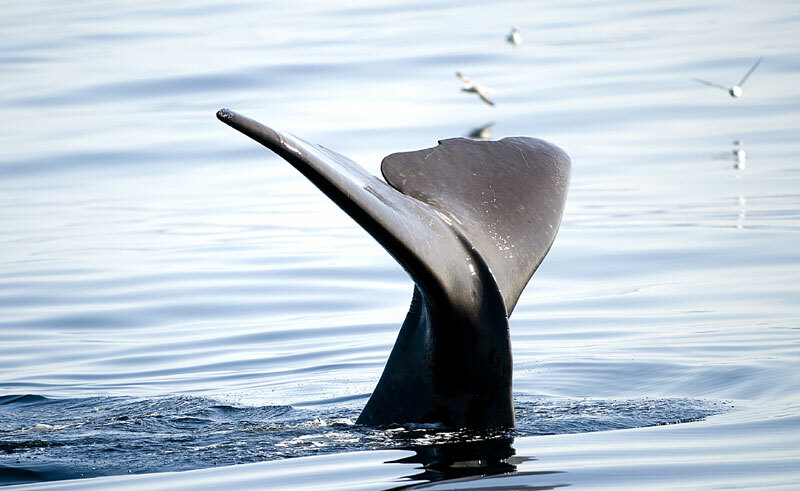 Join expert guides on a whale watching trip aboard either MS Reine or MS Maan Dolphin. The tour includes entrance to the whale centre prior to departure. In winter season there are two departures per week, in summer season there are daily trips with up to four different departure times. Please ask our team for the full details. A hot drink and snack is included. Note due to the northerly location and unpredictable weather, it is advisable to book your whale watching on the first available day of your holiday, in case of postponement. Please note, during the high season (June to August) there are two to four departures per day.